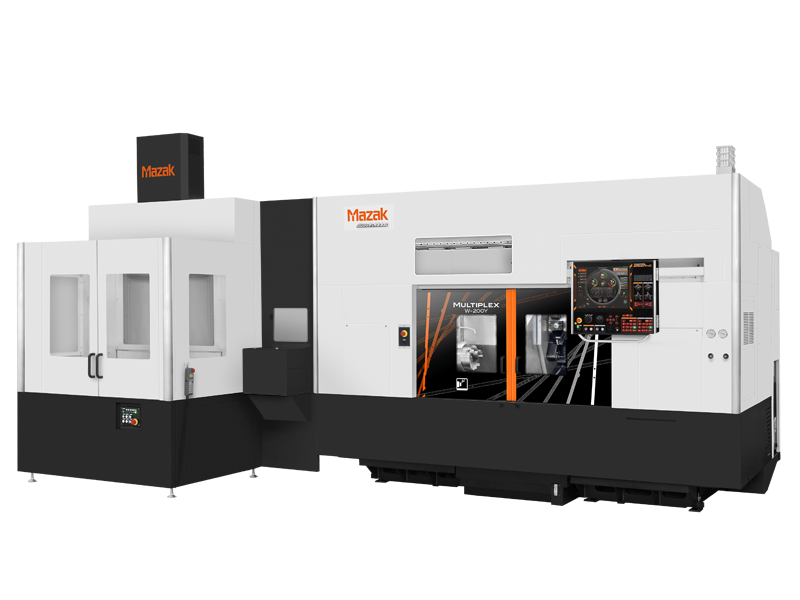 The MULTIPLEX W-200 CNC turning center provides Multi-Tasking capability with dual-spindle/dual-turret machine configurations for mid-sized lot production. Both spindles can be used to efficiently machine the front and back sides of parts, including milling, for DONE IN ONE®, single-setup production. Both turning spindles are identical in performance and can also be used to simultaneously cut two parts at one time. Their synchronized rotation delivers high-accuracy for operations like chucker and shaft work. Innovative machine design reduces production lead time, improves machining accuracy, reduces floor space and initial cost, lowers operating expenses and reduces operator requirements to improve working environment.